The True Repose vacation package is perfect for guests who want to escape from their everyday routine and relax in authentic surroundings unspoiled by modern-day civilization. 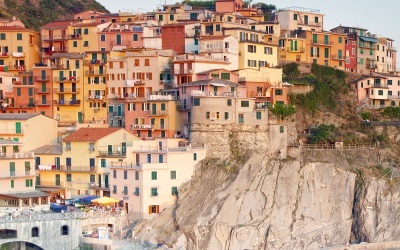 Luxury boutique hotels along the Amalfi Coast, relaxing boat rides on the Capri coast and authentic Italians food at seaside restaurant in Portofino will provide visitors with the ideal combination of beautiful natural landscapes, rich history, and peaceful relaxation. Benvenuti in Rome – Welcome to Rome! Meet your True Italy host at the airport in Rome, and make your way to your luxury Rome hotel for your first night. 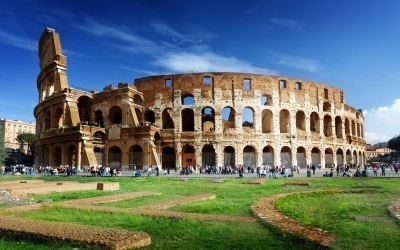 Once settled into your hotel, venture outside to explore the magnificent and truly historic city of Rome. 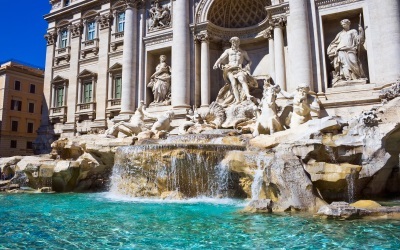 Enjoy a guided tour of all the main historic sites in the city, among them Capitoline Hill, the Roman Forum, the Colosseum, Piazza Navona, the Pantheon, the Spanish Steps and the Trevi Fountain. Discover how Rome developed from a city to an Empire and how it altered and affected world culture. We definitely recommend a visit to the Vatican to see the awe inspiring Sistine Chapel, the astonishing Basilica of St. Peter and the famous Piazza San Petro. By the end of your stay in Rome, we are certain that you will come to love this extraordinary, exciting, and truly unique city! Sorrento, Positano, Praiano, Amalfi, Ravello - to name but a few of the picturesque towns along the stunning Amalfi Coast. Wherever you decide to stay, the views will be equally majestic. Relax on the private balcony of your luxurious boutique hotel and allow yourself to be mesmerized by the soothing blue tones of the Mediterranean sea, only to be pleasantly distracted by the fleeting colors of the sailing yachts. We certainly recommend a drive down the Amalfi Coast to discover the subtle differences in style and character that make each town unique. Have a morning swim at the beach in Praiano, lunch at the beautiful local Italian restaurants in Amalfi or dinner at Ravello, where the stunning views will take your breath away. 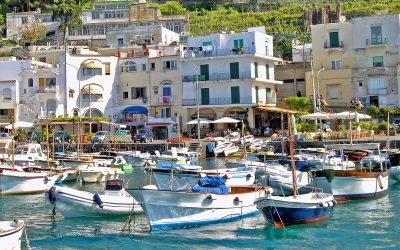 Experience island life the Italian way – Capri can be characterized as trendy, chic and cosmopolitan, however it still manages to maintain the qualities that make it truly authentic. Like bees to honey, sailing boats are attracted to this small island to take advantage of the crystal clear waters, secluded beaches and thrilling sea caves. 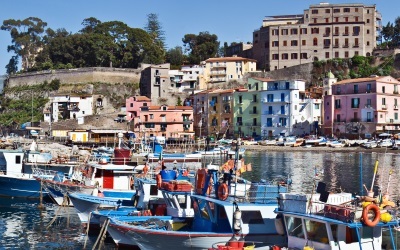 Enjoy a relaxing day out on the water arranged by True Italy – take a traditional Italian wooden boat, known as a “Gozzi” and with the help of your captain explore the extraordinary coast line of this beautiful island. With its traditional restaurants, azure waters and lavish landscape, you will surely fall in love with this little piece of heaven on earth. As one of Italy’s most exclusive resorts and getaway of the Italian and international jet set alike, Portofino is the perfect place if you want a sophisticated yet off the beaten path experience. Check in to your luxury boutique hotel and enjoy a glass of chilled champagne on your private balcony. In the evening take a walk along the seaside promenade and enjoy dinner at one of the authentic restaurants serving fresh Italian seafood dishes. For the more glamorous a cocktail at a seaside bar, may prove an unforgettable experience. Having already explored the main sights of the city, after checking into your hotel head out to the Porta Portese flea market for some shopping, or if you are looking for something more “fashionable” make your way to the Piazza Mignanelli. You will definitely leave Italy full of wonderful memories.